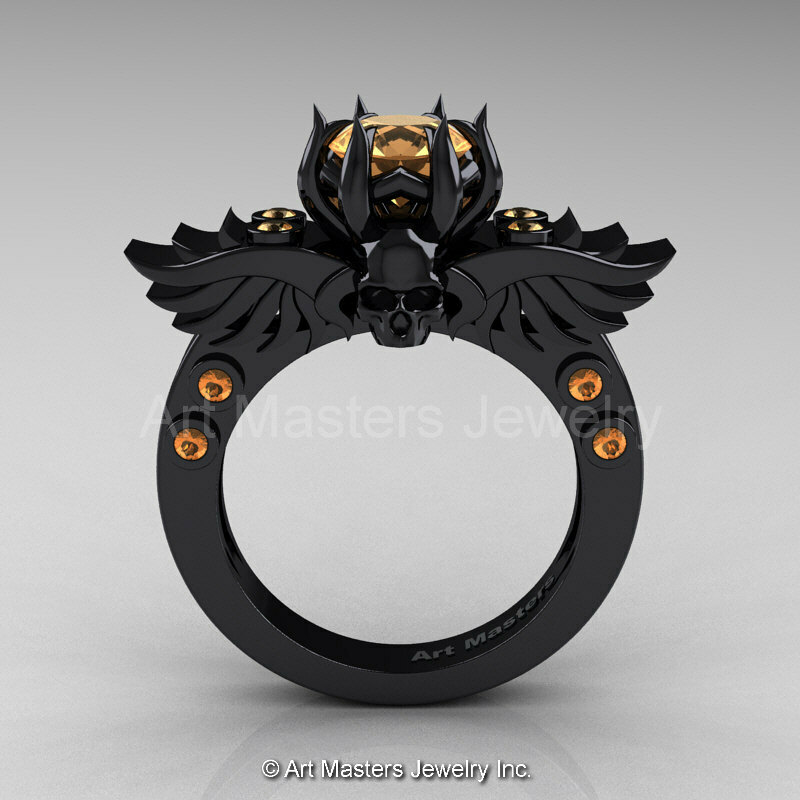 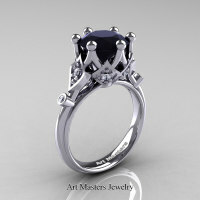 Reviving and epic, this high fashion Art Masters Classic Winged Skull 14K Black Gold 1.0 Ct Peach Sapphire Solitaire Engagement Ring R613-14KBGPES evokes character and elegance making this designer jewelry piece an excellent engagement ring, wedding ring or a great gift you can buy for yourself. 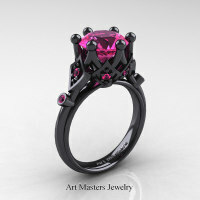 This now benchmark jewelry color style was first introduced to bridal jewelry category by Art Masters Jewelry Inc. 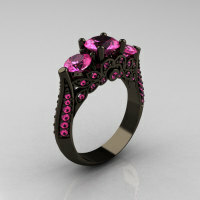 This ring is a designer exclusive high-maintenance jewelry piece and is not meant for everyday wear. 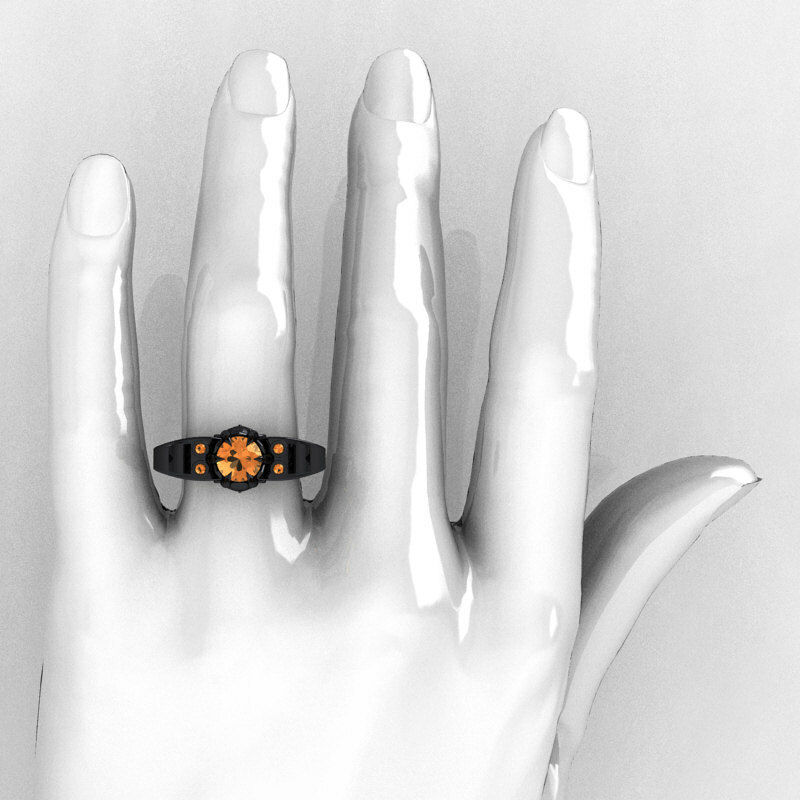 Black gold coating on white gold will wear off in few month to a year depending on wear frequency, just like any rhodium coating. 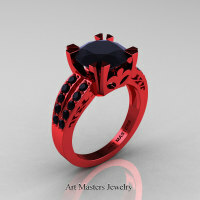 I provide 2 year (2 time) free black coating reapplication on all designer black gold rings for my customers. 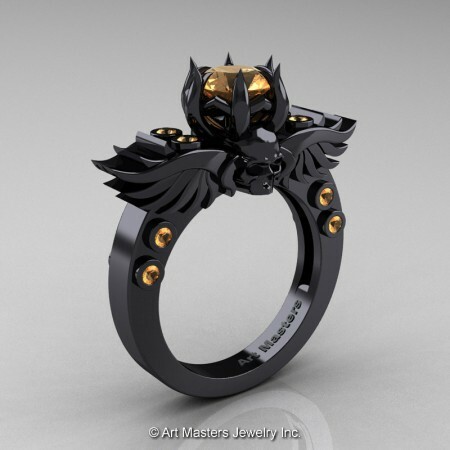 This service is available with select jewelry manufacturers U.S. nationwide for a fee to maintain a long term black gold coating for your exclusive jewelry piece. 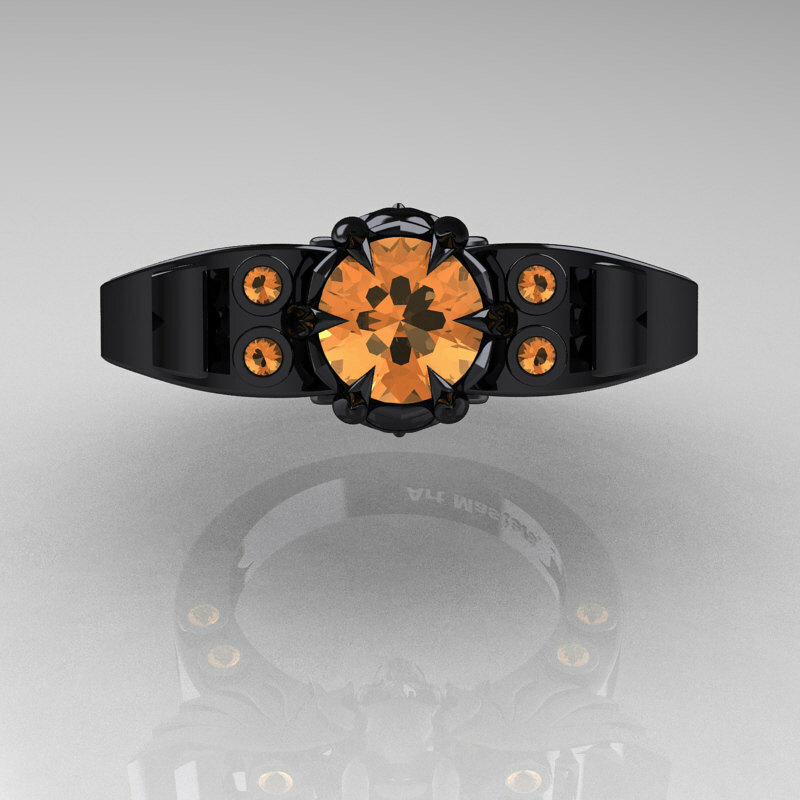 Be the first to review “Art Masters Classic Winged Skull 14K Black Gold 1.0 Ct Peach Sapphire Solitaire Engagement Ring R613-14KBGPES” Click here to cancel reply.